Originally from Nawaikama, Gau, Lomaiviti, Jim Koroi served in the Republic of the Fiji Military Forces (RFMF), in the now disbanded Fiji Intelligence Service and the Fiji Police Force 18 years after the road accident. Prime Minister Voreqe Bainimarama with retired Acting Police Commissioner Jim Koroi after awarding him with the long service medal during the medal parade at Nasova ground on April 15, 2019. Photo: Ronald Kumar. After 31 years of service, Lieutenant-Colonel (Ret’d) Jim Koroi was awarded a Long Service Medal by Prime Min­ister Voreqe Bainimarama at the Nasova Police Academy Grounds in Nasese yesterday. A career military and Police of­ficer, Mr Koroi was appointed Act­ing Commissioner of Police by the military administration on Decem­ber 6, 2006, and held the post until February 2007 when he was re­placed by Romanu TIkotikoca. He was involved in a road accident at Vatukarasa Bridge in 1988 that left him confined to a wheelchair. However, this did not discourage him from continuing to serve in the disciplined services. Originally from Nawaikama, Gau, Lomaiviti, Mr Koroi continued to serve in the Republic of the Fiji Military Forces (RFMF), in the now disbanded Fiji Intelligence Service and the Fiji Police Force 18 years after the road accident. “Getting recognised today is indeed an honour for me and to receive it after retirement just as­sures me that I have served well in my time and for that I am very happy,” he said. 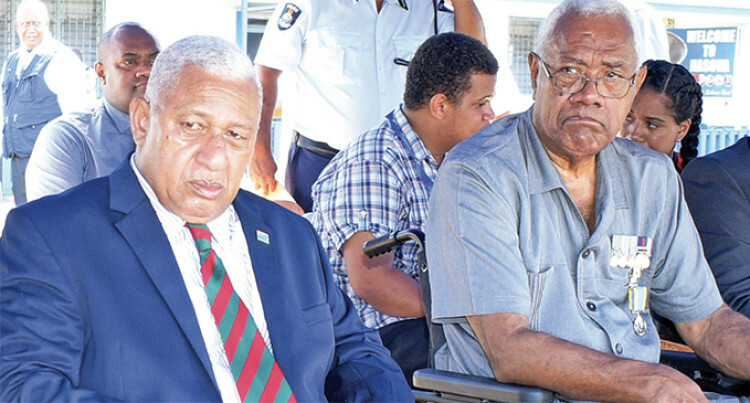 Mr Koroi, who retired in 2013, has urged those joining the disciplined services to be honest in their ser­vice, to serve the people of Fiji to the best of their ability and with compassion. “Service is a very important aspect to this nation and as long as you are serving your country, whether you are standing, in a wheelchair or ly­ing down; if your service is still re­quired, be happy about it,” he said.